England's 2018 World Cup bid has been criticised by Fifa vice-president Jack Warner and Danny Jordaan, who led South Africa's successful 2010 campaign. "The best bid will have my vote," Warner told BBC Sport. "Nothing gives you the right, you have to earn it. "You're earning it but not fast enough, creeping along when time passes quickly and you have to be running along." Jordaan added: "It's time for a review. They should boost the media profile and understanding of their case." 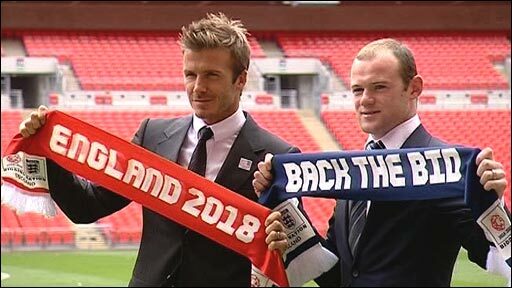 Both Jordaan and Warner suggested the Football Association's bid team needed to make more of England's "football icons" such as David Beckham. "They must begin to line them up to help them strengthen the character of their bid," added Jordaan. However, FA chairman Lord Triesman, who is also chairman of England's bid, rejected Warner's concerns. "Jack has been very positive and very willing to give advice," Triesman said. "His initial advice was not to do what we did in 2006, going round getting in people's faces and making assumptions, we should go around and listen to people. That is quite right anyway. Is England ready to host the World Cup? "It was always going to be a campaign where we would move onto a higher profile. He's making a point that we need to get to that point. It is always worth hearing Jack's advice." And, speaking to Radio 5 Live, 2018 chief executive Andy Anson added: "I'm absolutely confident that we have got very strong people representing this bid and doing the best job possible. "A lot of what we are doing is behind closed doors. We are not carrying this out in public. It is about us winning 24 individual votes and that means a lot of individual meetings in private but with very influential people in the rooms. "We've got people working on our campaign who are some of the most senior figures in football and sport. We will continue to make sure we use those people at the right time. "And we have some heavyweight ambassadors like Prince William, who is president of the FA, and David Beckham. "They are people who we will use at the right time and that's a critical point we want to get across - we have our own timelines, our own strategy and we are not going to be bullied into using them at the wrong time." 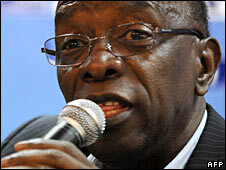 Warner, who is also president of Confederation of North, Central American and Caribbean Association Football, and two other Fifa members from Concacaf were thought to have been supporters of the English bid. England played a friendly in Warner's native Trinidad and Tobago last summer, but, speaking at the LeadersinFootball conference at Stamford Bridge, he said: "I want to disabuse anybody of the view that Concacaf is in the FA's corner. "I don't want to feel that there is any obligation on my part to vote for England, the field is wide open. "If England is pacing herself, fine, but what is important for me is perception and you have to change the perception that you're plodding along. "I have seen many other bids, and while England has all the attributes to be a worthy host country I am not convinced they are making the most of those attributes. "Spain is doing quite well and some people have even expressed the belief to me that if the vote were taken now they would win. There is of course a long time to go, and many things can change."